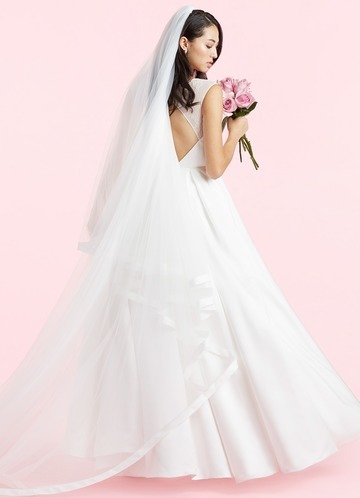 Every bride can look and feel her best by adding one of our fabulous veils to complete her look. 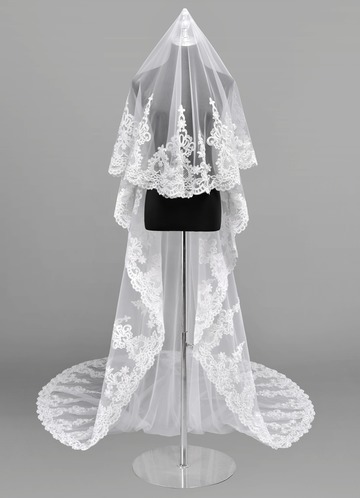 Add a touch of your personal style to your wedding look with our collection of wedding/bridal veils. 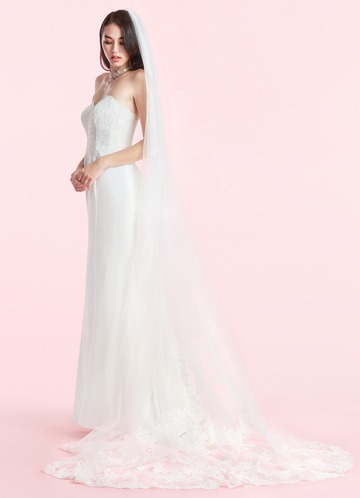 With six lengths that range from birdcage to cathedral, Azazie is here to offer you a full range of lengths to complement your wedding day style. 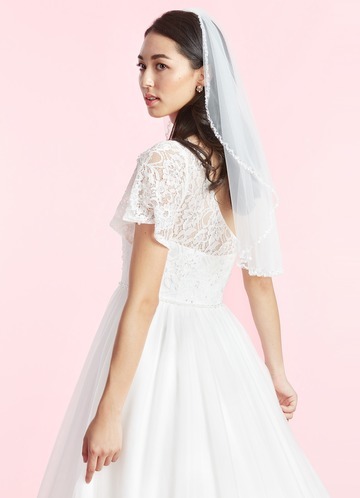 Our shortest veil will give your bridal look a sweet, vintage feel. With small scale embellishments or a simple single-layered design, these elegant pieces are meant to fold forward and only cover the face. 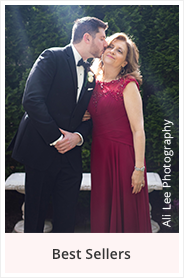 In terms of shorter options, we have everything from elbow to fingertip lengths to give your bridal ensemble a more romantic feel. 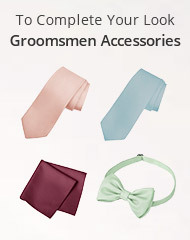 These more modern lengths can be worn during and after your ceremony, and offer more versatility. The cathedral and chapel length designs are the most traditional options. 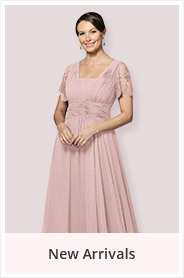 The cathedral length is longest and most dramatic, extending beyond the hem of the dress. The chapel length is also longer, but it will only lightly sweep the floor. 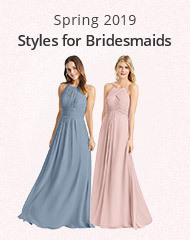 These longer options are classic looks that can fall lightly over the back of your gown and you can also fold the top layer of the design forward for a more impact. 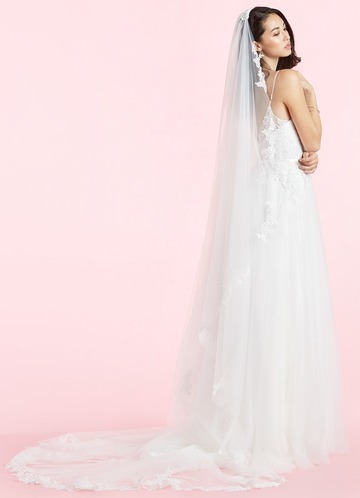 Our veils also feature unique details that will make them the star of your wedding day ensemble. Some of our more traditional details are the satin edges on our Enza chapel length design, for a more understated look. 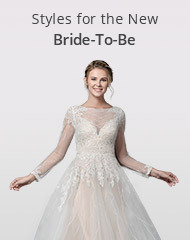 We also have a wide variety of lace applique designs from the dramatic Rowan wrist length look to the sweet eyelash lace along the edge of the Minerva fingertip design. For a more glamorous looks we also have the Violet veil with scalloped edges and delicate beading. 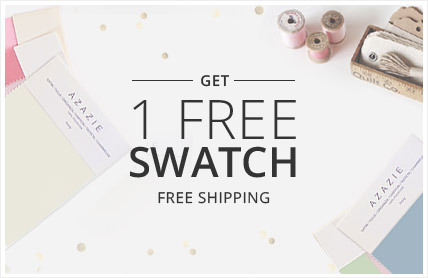 These unique edges are perfect for a more quirky bride who loves the sweeter finish. 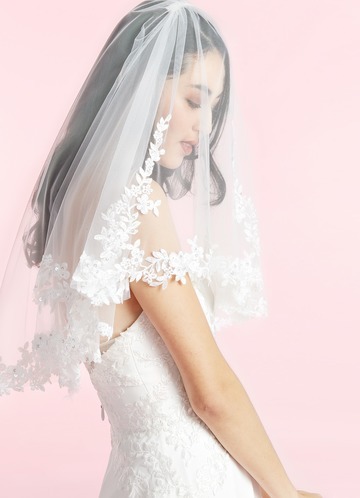 The beading on our Sheena veil is also soft and delicate and won't overwhelm your look.